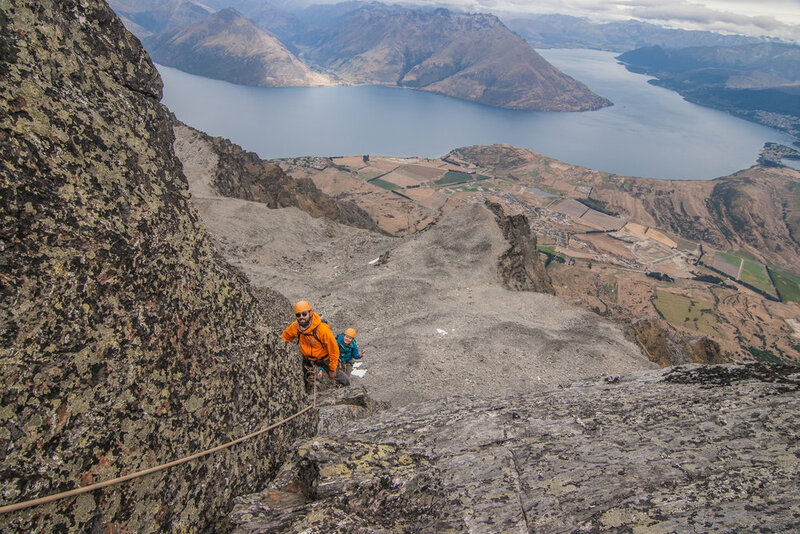 The Big classic of the Southern Lakes district, this striking ridge is on every climbers tick list. Approached by the "shadow basin" and under the telecom tower. After this long walk the climb starts off with a long ledge systems that brings you to a ridge crest and a gut wrenching view down the west face. This alpine day is suitable for climbers with a basic understanding of rope skills and a high level of fitness. 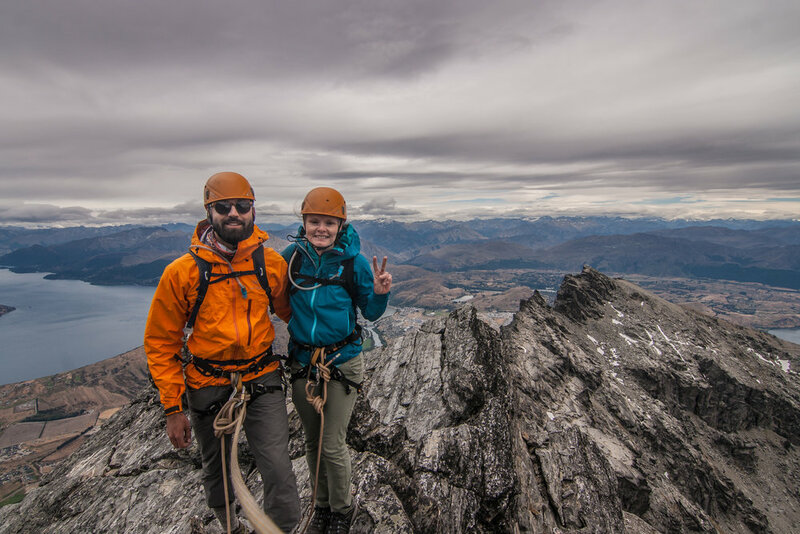 It is possible for guests who do not have climbing experience to do the traverse however we require that they do a half day of training the day before their climb!